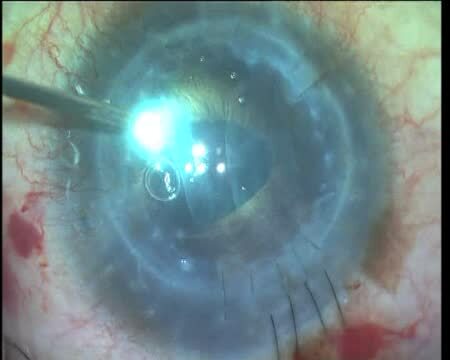 Lisa Arbisser, MD, presents a morgagnian cataract case. She carefully creates a small capsulorhexis and enlarges it slightly after the lens milk is removed. She proceeds with lens removal via circumferential disassembly. Hello! Interesting technique! It' s a mixture of decrease and conquer, microchop and phacoforward? I agree that in very hard cataracts endonucleous debulking with superficial chops is a better strategy than deep, full thickness chops. very tough case. why the patient is so quiet ? Is the operation under GA or Retrobulbar block ?